Last week, I did a little experimenting. I had already seen ideas of how to make a ‘ravioli’ style dish using cabbage but to be honest when ever I have tried wrapping anything in cabbage, it always splits and falls apart, ending up in a big pile of mush on the plate. I wanted a ‘ravioli’ that looked pretty, so I was on a mission. 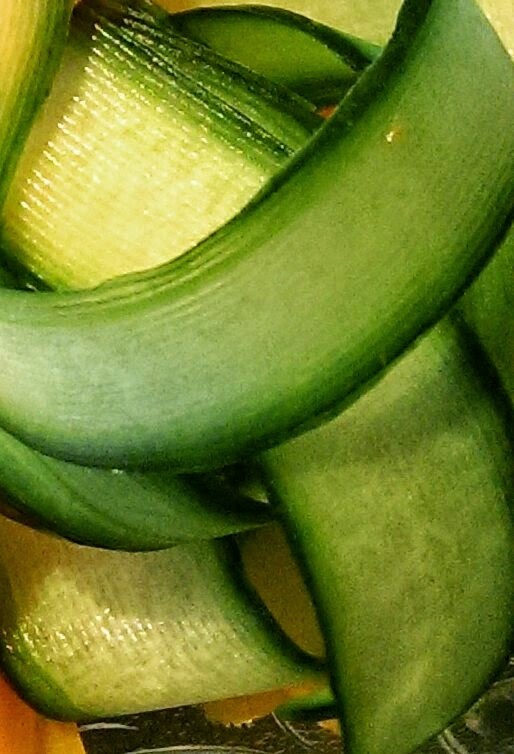 Since I began following the Paleo way of eating last year, a staple that is always in my fridge is courgettes. I never had much respect for courgettes. I usually over cooked them, so they took on a slimy soggy texture so never bothered with them much. Like I said I began following the Paleo way last year and since then I have discovered a whole new world and love of courgette eating. I probably have them in most meals now. 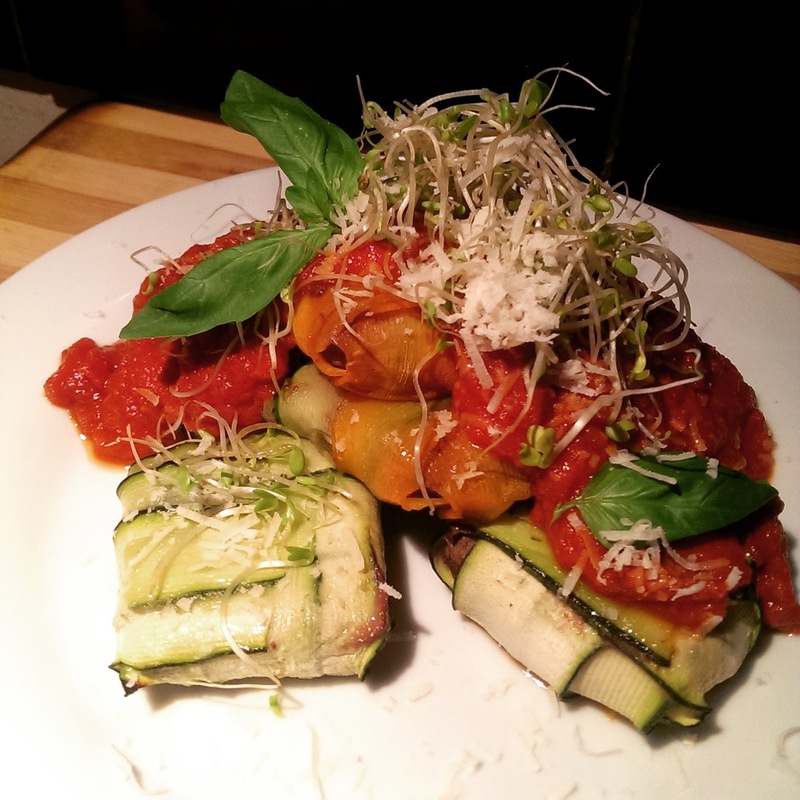 I wondered whether courgettes could provide the perfect ‘ravioli’ style casing for my delicate meat ball filling. Whilst at work, I kept going over how I was going to go about making these. Please tell me I am not the only one who thinks and plans a meal in my head all day. I could picture them in my head, sitting pretty on the plate with a tomato sauce oozing over them and a possible sprinkling of cheese, yum! (I know including cheese makes it more a primal style of eating, lets not get into this now, I will save that beaut for a separate blog post) hehe. I first made a basic meatball base. Next step is to assemble. Take out your bowl of meat ball mix from the fridge. 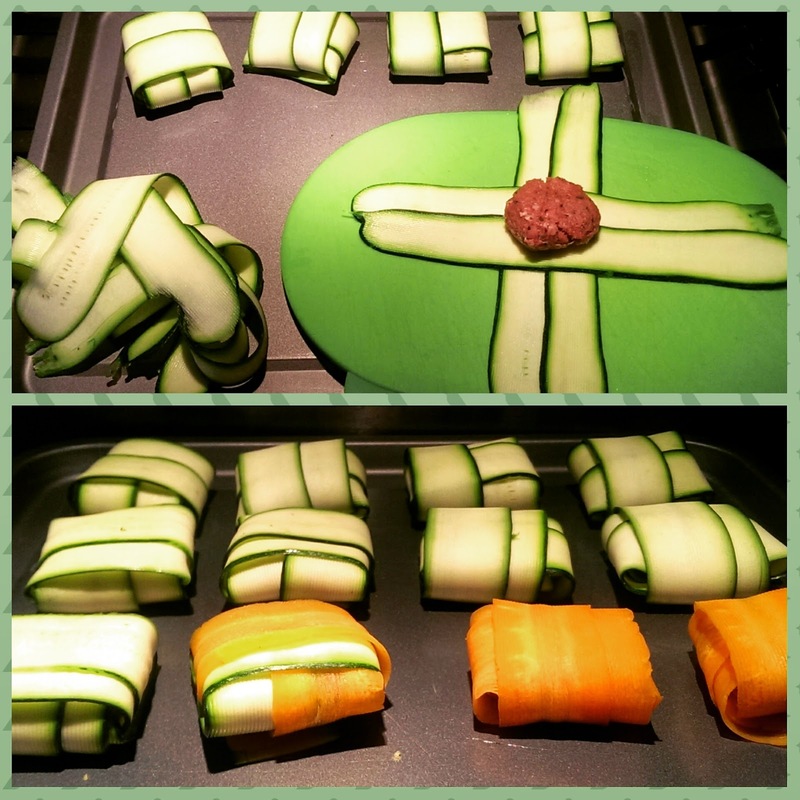 You will need 4 strips of courgette ribbon per ‘ravioli’ parcel. Lay 2 strips going one way, slightly overlapping and then lay 2 strips across in the opposite direction. This hard to explain. Take a small amount of meatball mix, roll it in your hands to form a ball and pop in the centre crossroad of the ribbons. Start with the strip closest to you, fold it over the meatball, if there is a little excess just tuck it under the meatball. Now go to the RIGHT strip and fold that over the meat ball. Fold over the LEFT strip. Then you can roll your ‘ravioli’ up along the top strip. If you have excess ribbon sticking out just trim it down with a knife. If you want some extra insurance that they wont burst during cooking you can secure them with a cocktail stick. But I didn’t find a need to. Place on a greased flat baking try, seal side down. These can then be kept in the fridge until you are ready to cook. To cook simply pre-heat the oven to 180 degrees and bake for approx 15-20mins. Until meatballs are cooked. I served mine with a spicy tomato sauce and super sprout salad. I love it when an experiment goes to plan and a new meal discovery is made, I get so tired of eating the same things, so I happy to have these little pretties under by belt. And I hope you will enjoy them too! Previous Easter Fun Foods! – I’m Egg-cited about this post!